As children we are fed many lies. Mostly lies to make us behave or to trick us into learning new information. I smack myself in the head a lot because I spent so much of my young life learning or working towards certain things that no longer serve any purpose in my life. If someone had told me as a child that 90% of what I was focused on then would no longer matter now, I could have saved myself hours of blood, sweat and tears. That’s why I have compiled this list. So hopefully I can help someone out and they won’t feel as stupid at the age of 22 for not realizing these things sooner. 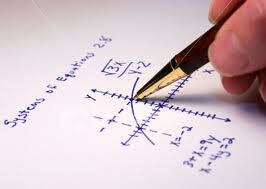 I won’t use algebra all the time, in fact I never use it. Teachers tried to convince me I’ll need simple algebra for everything from figuring tips to deciding how much paint it will take to paint a room. Not true. At all. I never use algebra. Ever. For many reason. First I work with 3 year olds, the most math I do is counting to 30. Don’t need algebra for that. Second, I have a calculator. That can figure tips and keep track of my grocery purchases. And third, there aren’t x’s and y’s just sitting around waiting to be solved. There just aren’t. Essentially, if you’re not a mathematician, you won’t need algebra. I will not HAVE to use cursive in high school. 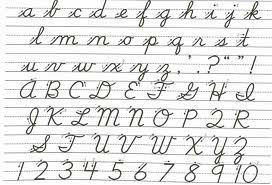 My third grade teacher taught us to write in cursive with the threat that when we got to junior high and high school we would only be allowed to write in cursive. False. I have not written in cursive since the third grade. She lied to us. And now I possess a useless life skill that I utilize zero percent of the time. Beanie Babies won’t stay cool forever. Between the ages of 6 and 12, I wasted most of my hard-earned cash on animal shaped bean bags. I vacuumed many floors and put away infinite clean dishwasher loads in order to earn money for those darn things. I spent hours hunting down a rare bunny while on vacation in Canada because it was selling for $500. I wasn’t going to sell it, why did I do that? Because they were AWESOME. My mother tried to buy me fake beanie babies so I could be as cool as all the kids at school. Nope. They had to have that little heart tag in order for you to gain acceptance. I collected at least 50. (which I realize is not as many as most crazy people, but I didn’t have a real career to support my habit. 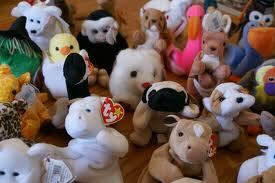 If beanie babies were still cool I’d probably spend WAY too much money on them) And now I have none. I rid myself of all the bean bag animals. Because they were pointless. (Also it’s weird for a 22-year-old to have that many toys just hanging around) I wish I had all those $7 dollar bags o’ beans back. I might be a hundred-aire by now. Romantic comedies are not realistic. I have dropped things in public plenty of times. Not once has some handsome stranger come up to me to help me pick up my items. Nor has a handsome stranger caught my eye contact, immediately fell in love with and begin courting me. No mishaps occurred that made myself and this handsome stranger part ways for a few weeks only to have the handsome stranger, who is no longer a stranger, but the love of my life, sing me an off-key song in a smokey bar to win my heart back. This has never happened. And I’m beginning to think it will never happen. Also most men do not look like Orlando Bloom. What a hoax Hollywood. I want my money and my heart back. I’ve wasted hours of my life waiting for such a scenario to happen and nothing. I’m super mad about this. If I want a husband, all I need is a sign at a sporting event. I hope that this list has saved many from learning useless skills and focusing too much energy on stupid collections/gaining a husband. If I can offer one service to the world, I hope it is through this. Good luck! And stop practicing your cursive! No one uses that, in fact no one can even read it! *Amanda is not really taking that sign to a Predators game. She’s not that desperate. Also she realizes that the signs don’t accomplish anything. 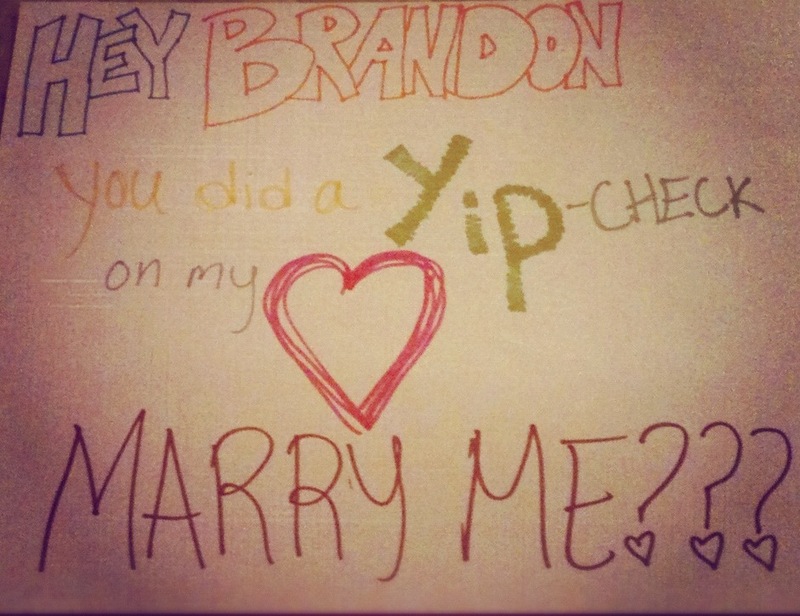 ‘Yip-Check’ is a trademarked term by Amanda. Okay, so it’s not really trademarked, but she said it once and thinks she’s really clever because he checks people in hockey all the time. If Amanda were to make a sign for real it would not be for Brandon Yip, but she doesn’t have clever name puns for any other players. 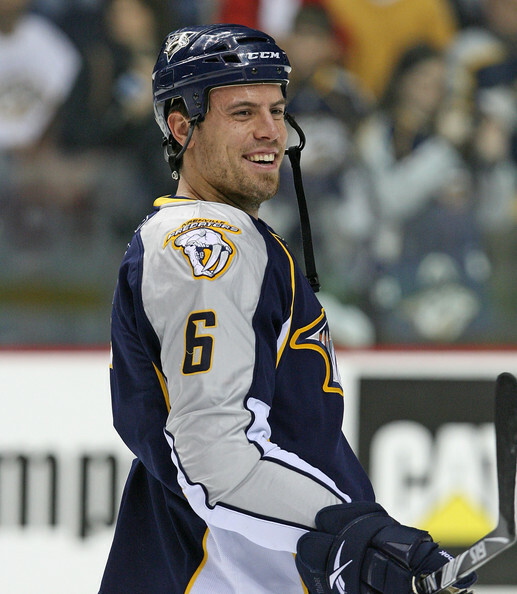 It’s Leap Day Shea Weber! In the last 15 minutes I have discovered that leap day is the greatest day of the year for me. Do you want to know why? Well first go read this: Leap Day: Watch Out Men, The Women Are A-Comin’! Did you read it? Did you? Are you lying? If you answered yes to the last one go back and read it again. Thanks. As you know, it is February 29th. This is leap day. You do have leap day in Canada right? Or should I say ‘eh? I’m never really sure how to talk to you Canadians. Also do you want to explain Boxing Day to me? I’ve looked it up on the Wikipedia and I still don’t get it. Maybe you can use regular words to help me out. But I digress from the real purpose of this letter. I’m writing to propose marriage to you. 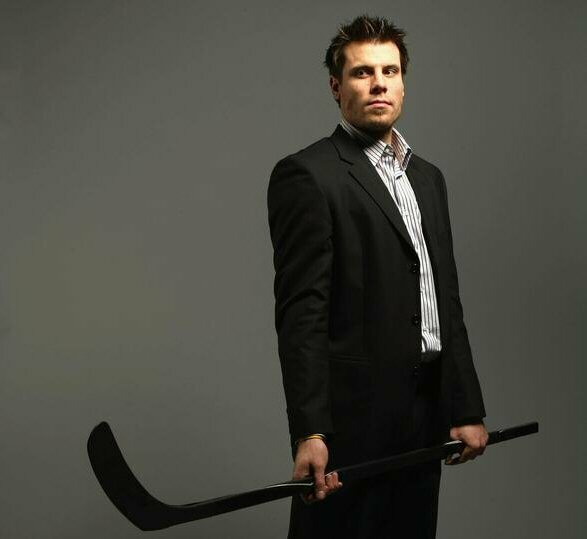 I’d like to take this moment to say to you, Shea Michael Weber, will you marry me and be my forever hockey husband? Will you love, honor and provide me with lifetime Predators season tickets? Will you be mine? Will you marry me? So anyway, I was thinking a spring wedding. Right after you win the Stanley Cup. We can marry right here in Nashville and honeymoon in your magical homeland, Canada. Sound good? I think so too Shea!! Well, I look forward to hearing from you within the next 2 hours and 43 minutes! There it is. My proposal letter. It has been emailed. * Shea Weber has 2 hours and 38 minutes to respond to me. I’ve got my fingers crossed, hoping for a yes! Your move Shea. I’ll be waiting! *No it hasn’t. I’m not a crazy person**, guys. I didn’t really send this to Shea Weber. **I might be a crazy person, but I don’t have Shea Weber’s email, that’s why it hasn’t been sent. My biological clock is ticking guys. It just keeps ticking and ticking and ticking. In fact, as I was writing that I lost 15 seconds of biology. And there went another 5. My time is whittling away! I need a man. NOW! Being adorable and walking around Nashville waiting for a romantic comedy moment is not working for me. No one has chased me down at an airport and proposed to me. I haven’t even looked out my window to see a man singing to me in the pouring rain. I’m going to have to take things into my own hands now. So I’ve decided I should start online dating*. I’ve never made an online dating profile so I used this handy website to help me out. I followed their steps as best I could. I did not participate appropriately in this step. I hope that doesn’t tamper with my results. I was supposed to write 10 things about myself but I didn’t want to write anything down, so I skipped this step as well. I’m really bad at following directions. I did think about ten things though, so that counts. Hello! My name is Amanda. I am a preschool teacher in the Nashville area. I wipe boogers and try to keep 3 year-olds from killing one another for a living. I also try to teach them basic life skills like the ABC’s and manners. It’s a really exciting field to be a part of. Outside of spending all day with toddlers, I have little free-time. With my free-time I basically just sit on the couch watching hockey and googleing Tim Tebow and Sidney Crosby. I hope you like neuroses because I have a TON I would love to share with you! First my foods cannot touch on my plate. If they do I won’t eat the part that touched the other food. I’d basically be the best kosher Jew ever. I also can’t stand in front of an elevator door. I don’t want to be the one that gets shot up when an angry man comes into work with a gun you know! My closet is color-coded and arranged by sleeve length. If you mess this up, I will have to put you down. If I get any sort of dirt on my socks I have to change them immediately, and if you touch my feet, well, we’ll have to end things right there. I’m the most loyal person that has ever existed. (Unless you touch my feet *hee hee giggle giggle*) I’m not very emotionally stable before 10 am and pretty much anything could push me over the edge, but after that I am rock solid! Just like a statue who doesn’t have emotions. I didn’t even cry at Marley and Me. (some might say I’m emotionally numb inside!) And I don’t really enjoy physical contact, but I’m the best darn high-fiver. I don’t believe in love at first sight, but I believe in love after enough forced time together! What I’m looking for is a nice, even-tempered man who is brawny, has the jaw of a superhero, and can grow a 5 o’clock shadow on whim. A hockey player would be ideal, preferably a nice Canadian fellow. He must have flowing locks and eyes as blue as the ocean. He doesn’t care if I cocoon myself into all the blankets at night to leave him shivering in the cold. Also he must be willing to sleep on the floor, as Wallace T. Schnauzer sleeps on the other side of my bed. A nice Canadian, who allows me to yell at the TV when watching sports, (and maybe even throw some things if necessary) that’s really all I need! If this Canadian man sounds like you, feel free to contact me! I guess I’ll just post this to all the online dating websites I can find. Surely there’s a nice Canadian hockey player out there who likes neurotic females that don’t enjoy physical contact. I just know he’s out there! And if this doesn’t get me a man, I give up. I’ll just become a spinster. Hey Shea Weber! You're Canadian. Let's marry? *No I haven’t. I’m going to just continue being adorable and hoping for the best. Americans love celebrities. Sports stars, movie stars, singers, rodeo stars, NASCAR drivers, pretty much anyone with at least $1 million we LOVE them. They’re pretty much our favorite thing, well besides super-sizing things. We watch the Kardashian’s do absolutely nothing on TV while reading about the newest Bachelor’s heartbreak. We love to see celebrities doing everyday things. Some people even make a living off of photographing these everyday events (On a related note I’m becoming a paparazzi if I don’t get a job in the next month). Even better than seeing them at the grocery store in pictures? Seeing them in real life with your own eyes. People react differently to these experiences. Some sneakily take a photo and tweet it, others blatantly take a photo, while others ask for autographs. I do none of those. Lets say I’m walking around in downtown Nashville. I see Olympic gold-medalist Sidney Crosby getting a venti chai latte with soy at the local Starbucks. Then I spend the rest of the day dejected, compiling copious scenarios of how I should have handled myself and how next time I will speak to Sidney Crosby, knowing full well the exact same thing will happen EVERY TIME. Obviously, if you’re looking for a really calm, cool, collected person to go celebrity spotting with I’m the best option….that is if you enjoy having a bruised shoulder and absolutely no proof you saw Johnny Depp at the local bakery.